Under a promotional Special Tariff Voucher priced at Rs 187, BSNL is offering unlimited voice calls along with 1GB of mobile data over a validity period of 28 days. BSNL or Bharat Sanchar Nigam Limited has announced a slew of new recharge plans. 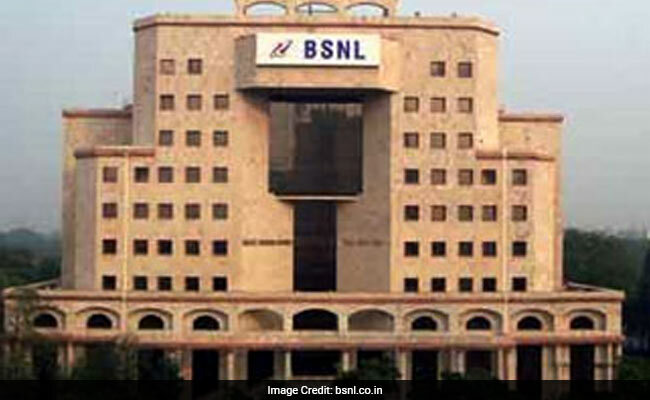 Under a promotional STV or Special Tariff Voucher priced at Rs 187, BSNL is offering unlimited voice calls along with 1GB of mobile data over a validity period of 28 days, according to the state-run telecom company's website - bsnl.co.in. Under another STV, priced at Rs 485, BSNL offers unlimited voice calls and 1GB data per day for the first 90 days, among other benefits, BSNL added on its website. The effective date of implementation may be vary from circle to circle, thus the same may be confirmed from respective circle offices, BSNL added. The Rs 187 recharge pack, according to Bharat Sanchar Nigam, includes PRBT. Personalised Ring back Tone or PRBT is a service that enables a subscriber to set up a tune instead of the default ring. Free calls offered under BSNL's STV priced at Rs 187, which includes GST (Goods and Services Tax), include local and STD calls made on the home LSA (Licensed Service Area) as well as BSNL's national roaming area (excluding Mumbai and Delhi), according to the BSNL website. The Rs 187 recharge plan or STV is applicable on both on-net - calls made on BSNL's own network - and off-net calls - calls made outside BSNL's network. Under its plan voucher priced at Rs 186, BSNL offers 1 GB of mobile data for the first 28 days, according to its website. BSNL's Rs 186 plan voucher also includes unlimited on-net and off-net voice calls - local as well as STD - in home LSA, according to its website. The Rs 186 plan voucher comes with a validity period of 180 days. However, the 1GB data is applicable only for the first 28 days, according to BSNL. BSNL's plan voucher priced at Rs 485 (including GST) comes with a validity period of 180 days. However, the 90 GB of mobile data at a daily limit of 1 GB is applicable for the "first 90 days only", BSNL said. The Rs 485 plan voucher includes unlimited on-net and off-net calls in the home LSA and national roaming (excluding Mumbai and Delhi). "PV186/485 will be available for J&K, Assam and NE-I/II also but with 90 days PV validity only," BSNL added. Meanwhile, BSNL has signed an agreement with Fibre Home Pvt Ltd to jointly start manufacturing telecom equipment and optical fibre cable in the state-owned telecom service provider's factories. BSNL has seven telecom factories with a manpower of around 1,600.